If you are a chocoholic like me, the place to go and satisfy your craving is Richmond, Indiana's Chocolate Trail. The best thing about this destination is that you can take the self-guided tour any time of the year. 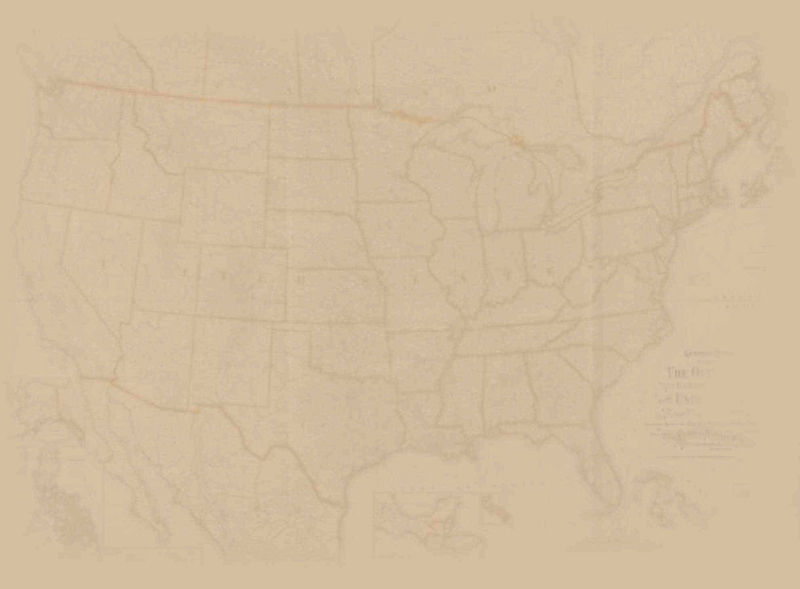 The first stop is The Old National Road Welcome Center to obtain a passport with a list of places to visit. The passport guides you through Richmond, Centerville, Cambridge City and Hagerstown - all conveniently located in Wayne County. It also entitles the holder to a FREE chocolate sample from each business. There are several discounts to take advantage of as well. Visit as many businesses as possible in one day or make a getaway weekend of it by taking advantage of one of the special overnight packages offered. Each package begins with a chocolate delight depending on which one you choose. I stayed at the Phillip W. Smith B & B, a beautifully decorated Victorian-style house where breakfast is served in the grandest of style on china and crystal in the elegant dining room. For the chocolatier, indulge in the Chocolate Bliss package where antique chocolate saucers are filled with choice of chocolate mousse or hot chocolate. The chocolate trail takes you to one-of-a-kind bistros, cafes, local chocolatier and candy shops/factories, historic homes, a winery, intriguing gift shops and more. Chocolate is presented at each location in its unique form. 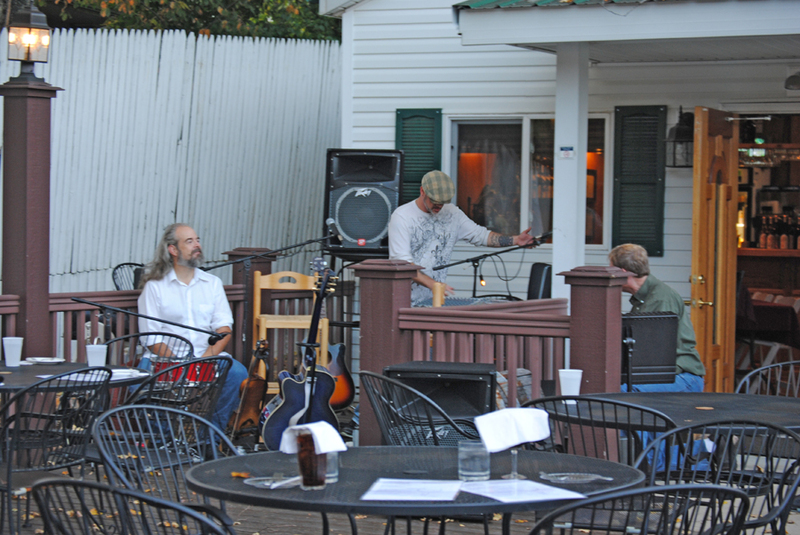 For instance, one of my favorites was a relaxing evening dinner at J & J Winery. When weather permits, the dining area outside with live music and view of the wood-fired pizza oven is truly a relaxing experience. Tours of the winery - brewery are also available at various times. Check out their website for details. 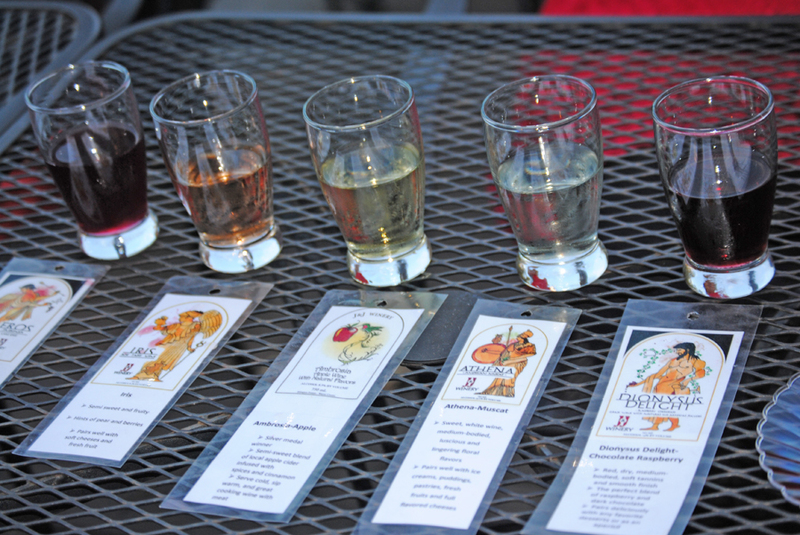 Their contribution to the Chocolate trail is a sample of their chocolate-raspberry wine. It is a red, dry, medium-bodied wine with a perfect blend of raspberry and dark chocolate flavor. It pairs wonderfully with a favorite dessert, preferably chocolate, of course. Don't worry if you aren't a wine connoisseur. This is a great place to taste and learn. They have wine by the glass, bottle or flights. I chose a flight which is a tasting of multiple wines. Each type chosen comes with a laminated card that describes the type and flavor of the wine. This helps to remember which one you like best and which one to order next time you visit. Whether you like sweet, dry, red or white, there is sure to be just the right choice for a flavorful memory. Be sure and visit Abbot's Candy shop in Hagerstown, where you can watch the staff create buttery caramels and creamy fine chocolates or a batch of fudge. 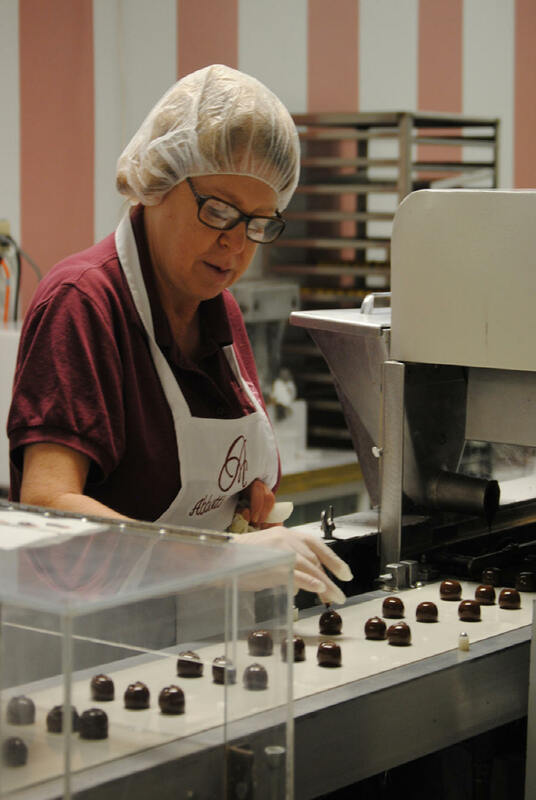 Each chocolate is adorned with an A for "Abbot's," carefully written by hand. New chocolate flavors are continually being introduced to complement the traditional favorites. Even sugar-free candies are available. 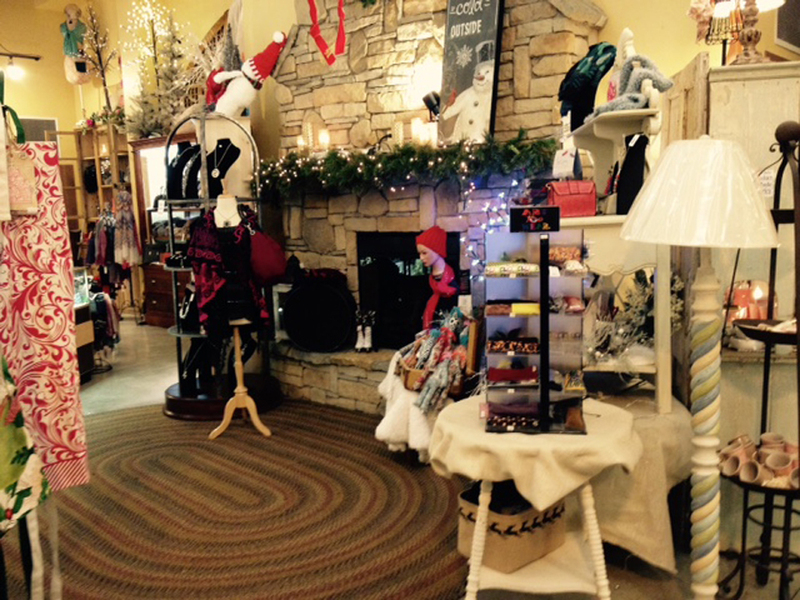 Be sure to allot enough time to browse through their lovely gift area and select a box or two to take home for later. Gift wrapping year-round is another continued tradition. Another candy destination, Olympian Candies, is known for their hand dipped chocolates and authentic truffles, clusters and chocolate covered caramels. Since 1909 Olympian Candies has been making it's smooth and creamy Greek Creams and soft buttery caramels using the exact same recipes. If you would like to try your hand at candy making or bakery decorating at home, Olympian Candies showcases a wide variety of supplies. An Olympian online store is available and they will ship. Visit www.olympiancandies.com for more information. 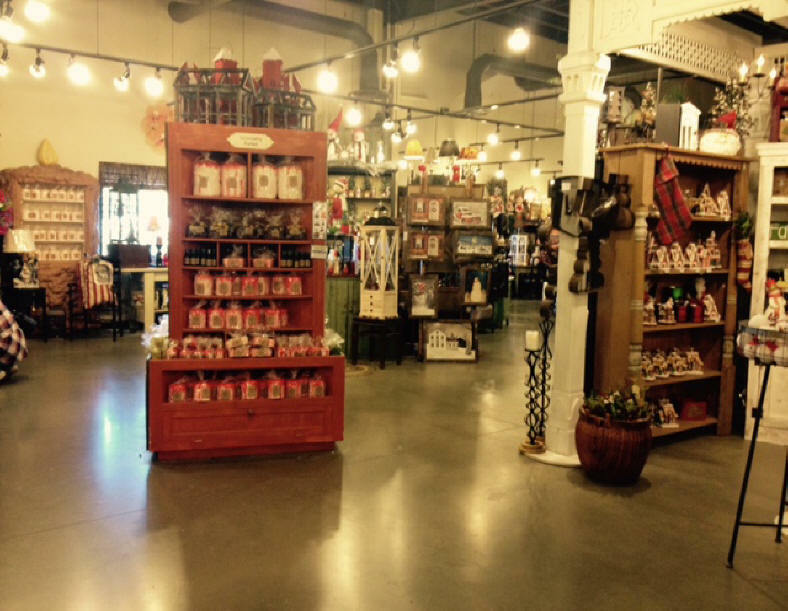 The Warm Glow Candle Company store, conveniently located right off I70 at exit 145, is open daily from 9-7. Featuring an 11,000 square foot shopping mecca, cafeteria and displaying the world's largest candle, it's a destination worth traveling to any time of year. Present your passport there for a chocolate scented votive candle.